Why savvy consumers use independent auto insurance agents to get the best rates, and how you can to. 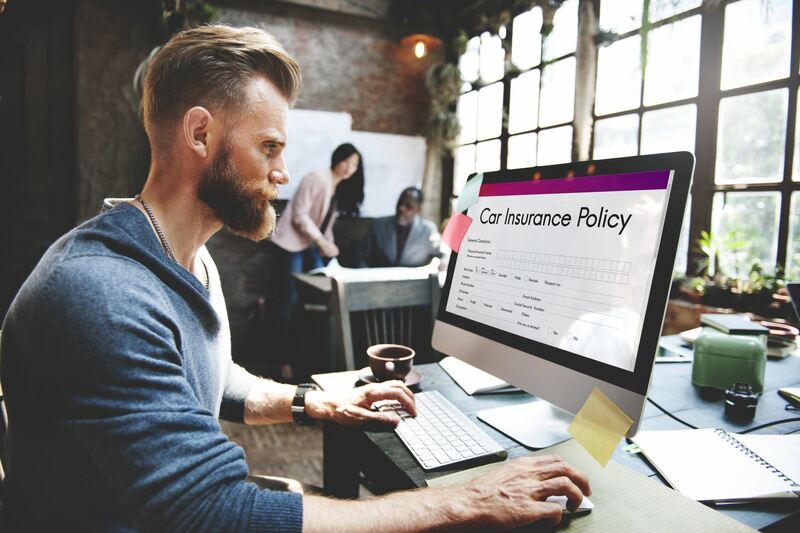 You might be surprised at the Mind-blowing savings people receive when shopping online for a local independent auto insurance brokers. But, before we get started you might have some questions about what insurance brokers do exactly. What do independent car insurance agents do? What is the difference between a car insurance broker vs agent? Do I have to use a car insurance broker near me? Do they offer comprehensive auto insurance plans? Let’s learn what independent insurance agents do to help you save money and find affordable insurance. Independent insurance agents or brokers are basically agents that are not exclusive to any one insurance company. As Independent car insurance agents they are not required to sell any one company. This gives brokers or independent agents the flexibility to offer many of the best insurance companies at the most affordable rates. More choice gives you the opportunity for more savings, it's really that simple. Another common question people shopping for auto insurance. Is there a fee or charge to use an independent insurance agent? Most insurance brokers or independent agents do not charge for their service. But, some do and here's why. If an Insurance Broker would charge a broker fee, it would most likely be for a hard to place insurance policy (high risk). Hard to place individuals who may have trouble finding insurance anywhere. More commonly you'll find broker fees for complex commercial insurance policies. These policies can take days or weeks just to quote. Some people have very poor driving records may find it difficult to find affordable insurance anywhere. Because there are very few companies willing to help these individuals, brokers are their only alternative. Rates can be extremely expensive for those types of drivers. Consequently these policies are canceled shorty after being issued. In many cases policy are sought to simply renew their license plates and then canceled. Because local independent car insurance agents work on commission and work very hard to find the companies, a fee may be charged. Since the insurance broker works on commission they would be required to return any money earned if the policy is canceled. But, if you are like the 99% of the population that maintains a good driving record with continuous insurance coverage this would not be the case. You would not be charged a fee, but make sure to ask just in case. Independent insurance agents and brokers are paid commission based on the insurance you purchase. Insurance Brokers receive a commission directly from the insurance company. They are paid based on the total premium. In some cases insurance company may pay "as earned" insurance commission. This basically means every time you make a monthly payment the insurance agent will get paid a commission to service the policy. If the insured decides to cancel the policy anytime during the policy period the broker/agent would be charged back or required to return any commission not earned. All insurance companies vary on how they pay independent insurance agents commission and how much per policy as well. Commissions earned are paid directly from insurance companies to the insurance broker. This also gives brokers the opportunity to work with multiple insurance companies without passing the cost on to you. It seems that the "term" Insurance Agents and Insurance Brokers are used in many of the same conversation when discussing insurance. There are some differences you should understand between insurance agents and brokers. Insurance Brokers are independent agents that do not work for anyone insurance company. Insurance Agents, such as Allstate, Farmers, AAA, State Farm represent only one company. Independent insurance brokers contract with insurance companies directly to sell each company's insurance products. Insurance Agents are bond to one company and will recommend that carriers insurance products only. Example: Insurance Brokers Group is contracted with multiple carriers like, Safeco, The Hartford, Progressive, Nationwide, Liberty Mutual and more. InsuranceBrokers.com is authorized to sell auto, home, commercial, life insurance and other insurance products offered by those companies. Having the flexibility to shop multiple insurance companies. A Local Independent Insurance Broker gives customers more options and a chance at lower insurance cost. In many cases bundling auto and home insurance together is a smart way to save money. Some insurance companies may be very competitive with auto insurance but not with home insurance. Having flexibility allows independent insurance brokers the ability to mix and match different companies for the best insurance rates. There are two types of Auto Insurance Agents. The first kind of insurance agent is known as a captive agent. Captive insurance agents work directly as an employee of the insurance company or is “captive” to only sell that company's insurance products like: auto, home and life insurance. The captive insurance agent is limited to only provide quotes for that company and are not allowed to search or even recommend a more affordable insurance company. Most people are familiar with Captive insurance agents and didn’t even realize it. Insurance companies like AAA, Allstate, Farmers, State Farm, GEICO, American Family and others. There are many great insurance companies. But, if you are trying to get lower insurance from a captive Insurance agent you’re out of luck. About the only thing they can offer is changing your deductibles or lowering your liability limits. Both options may seem like ways to lower your insurance premium until you have a claim. The other type of insurance agent is called an independent insurance agent. Independent insurance agents are basically the same and insurance brokers. But, because most people are not as familiar with the term insurance broker they also say someone is an independent insurance agent. Same situation would apply being independent meaning not tied to any one insurance carrier or required to push a product you don’t need or want. Some independent insurance agents sell in multiple states like Insurance Brokers Group. Or, you can look for a local insurance broker near you for rate comparisons. Depending on what state(s) an insurance broker is licensed, and what insurance companies they represent. You can simply call or go online to shop, compare and buy insurance. In years past where there was an insurance agent on every corner. Today people don’t have the time or energy for a sit-down meeting and review with several agents. Ask a friend or family member for a referral to a local independent insurance agent in your area for quotes. Jump start your car insurance shopping by going online. Sometimes you reach these online insurance marketing websites and receive a crushing amount of calls and emails from agents buying insurance leads. You could received call from 5 - 10 agents non-stop, even after you make a purchase to quote your insurance. Sadly, some websites are deceptive in their marketing and give shopper the impression they’ll be contact by just one company. If you notice several company names mentioned like Allstate, Farmer, State Farm, Esurance, etc. that will tell you they are selling “leads” to captive and independent agents alike. That's a sure way to spot a marketing company reselling your information to multiple insurance agents. Call and speak with the insurance agent directly and ask if you are going to be receiving calls from multiple insurance agents or just the person you called. 1. Ask what companies they represent in your state. Getting quotes is important when shopping for affordable insurance and independent insurance agents will be able to give you several quotes. Make sure they offer comprehensive auto insurance plans that meets your needs. Does the quote include rental car if involved in an accident? Do they have accident or ticket forgiveness in the quote? Insurance quotes is more than just a cheap price from a local insurance agent. Make sure they are offering all the coverage’s you need or may need. One of the worst feelings after filing and insurance claim is to find out you didn't have coverage for that. Something as inexpensive as rental car coverage can typically be added for about $1 per month. You will never appreciate the small investment until you find out your car will be in the shop for repairs for the next 30 days waiting on parts and you get a $900 rental car bill. Do the math $1-month x 12 months = $12. $900 rental car / $12-year rental car coverage = 75 years you would have to go without needing a rental car. Yes, having a comprehensive auto insurance plan is not only smart it can save you money as well. For more information on auto insurance quotes or to speak with an independent car insurance agent / broker call: Insurance Brokers Group at 800-459-6060 or Click HERE for online insurance quotes. If you're not have luck finding an independent insurance agent near you click for quotes 24/7.